Attention other therapists: No, we are not here to take your jobs! "Well of course kids do well in your sessions, it's music so it's automatically fun. Now they won't work well in my space because I don't have music." It's easy to get confused about what exactly creative arts therapists do. Creative arts therapists use music, art, dance, or theater to accomplish therapeutic goals. Here come the questions: "So if you can work on fine motor and life skills goals, then why do I need an occupational therapist?" "If you work on goals involving language and conversational skills, why should I see a Speech Therapist?" "If Music Therapists work on goals that involve gait training and gross motor movement, why bother with a Physical Therapist?" These are common misconceptions that follow the explanation of Creative Arts Therapies, but they are not true! When I am asked why a client choose music therapy over another form of therapy or in-lieu-of a more mainstream therapy, I usually advise them to pursue both, especially if there is a specific goal that they personally want accomplished with their child. We can work on speech goals, but we are not trained or license speech therapists, so we will not go in depth into the specific objectives that a speech pathologist would. Same with all of the other therapies. Music therapy is a music-centered way to accomplish goals, but we are not looking to take the place of other therapies, we want to work side-by-side to help clients succeed! Even better: CO-TREAT! Often times I've been approached by other therapists because they feel at a stand still with a client and they believe that the music room may be a better space to work and of course I am always in. In their minds, they are doing speech in the music room, but we all know better than that! The entire session becomes music centered and they get to see how the music can encourage success and motivate the client to do more in the sessions. So the next time you hear someone complain that the creative arts therapies are taking their clients of might cause clients to become bored or disinterested in the run-of-the-mill therapies, remind them that there are so many differences between them all and that why not try to bring both worlds together! Remember that everything we do is for the clients! Have you ever had this happen to you? 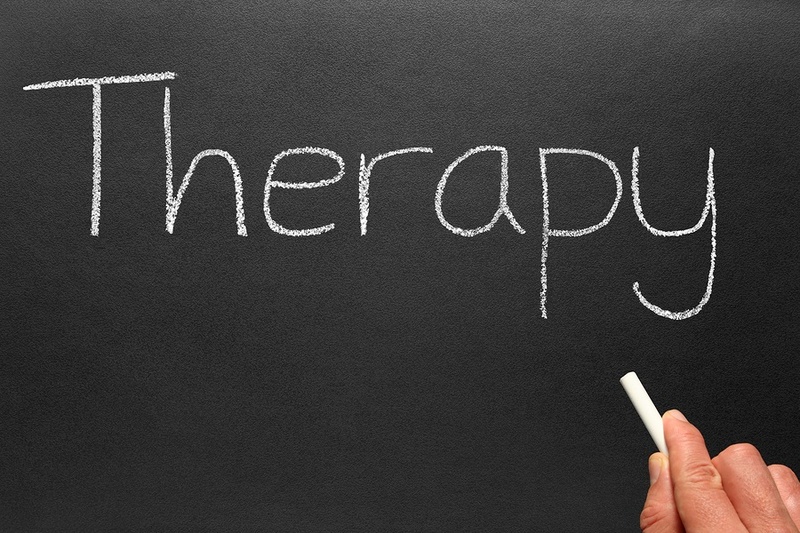 Have you co-treated with another therapist? Let us know in the comments below!